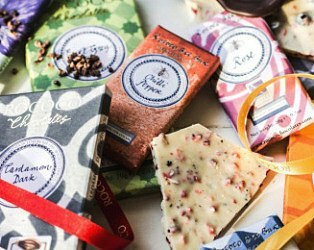 NOMNOM Chocolate is created by a small team on 12, based in a cowshed in the sticks of West Wales. Their mission? To change the world of chocolate! The NOMNOM creators collaborate with amazing producers, taking their goodness and tailoring them in the worlds finest cacao's to add a bit of extra magic. 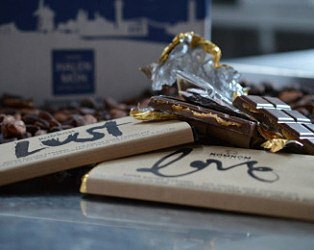 Rococco is an award-winning, luxury chocolate company based in London. Founder Chantal Coady OBE has been pioneering the real chocolate movement since 1983, creating stunning chocolate creations which push the boundaries of conventional chocolate making.